Disclaimer: I am no expert in parlor services. This post only accounts my actual experience with hair color. I had my model with gray hair, and so we want to change her usual black hair to brown that is appropriate to her age. Used a dark towel around her to cover clothes from staining. On top of this, I used a magnetic cape to further protect my model. I prepared my dyeing kit to include a small bowl, a brush, clips, lotion / petroleum jelly, rattail comb, alcohol - based facial toner to remove the stain. Depending on the kind of dye, you may use a developer of 10% if the shade desired has to be darker or 20% for lighter shade. 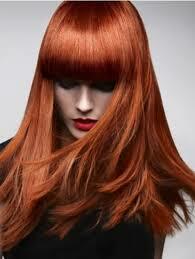 Ideally, you may want to color test on quarter to an inch of your hair just above your ear before proceeding. If the hair is long, I had to use the clips to section the hair. With the rattail comb, I drew out a thin layer of the hair and apply the treatment. Depending on the treatment, you can leave if for 30 minutes to one hour. Rinse the hair well with a conditioner or a hot oil. Let it air dry or blow dry at minimum heat.